Without the correct fats in our diets, our bodies would not be able to function. The problem at the moment is that there is a lot of contradictory info out there. 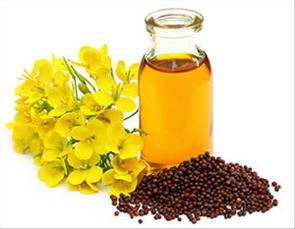 Canola oil is marketed as a good choice for health-conscious people. It has lower levels of saturated fat, is very high in unsaturated fats and has some Omega-3 fatty acids as well. Let's see if canola oil lives up to the hype. 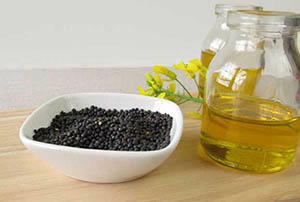 A while back, rapeseed oil became a popular option for industrial use. It was very cheap to manufacture but not fit for human consumption. Scientists in Canada then looked for a way to make it edible and started selectively breeding seeds to work out those bitter, dangerous substances. And canola oil was the result. It is not actually a separate breed at all but, rather, rapeseeds that have low levels of the dangerous compounds. Around about 90% of canola crops globally are GMO crops. 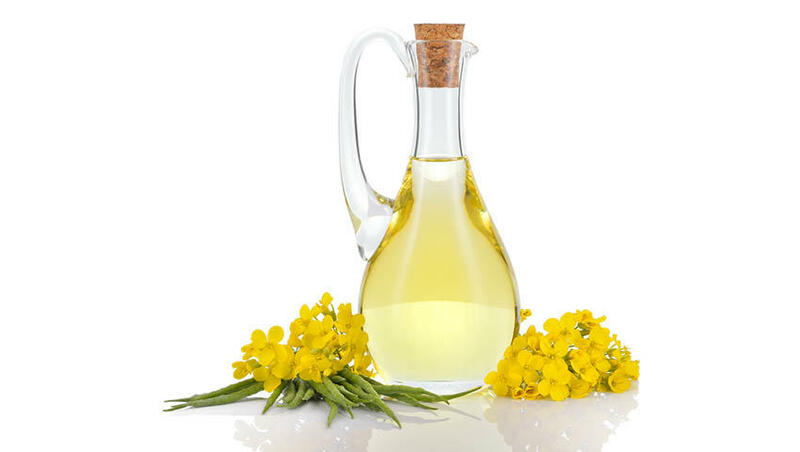 The oil is subjected to very high temperatures and this alone should give you cause for concern - canola is a polyunsaturated fat and prone to oxidization. The oil is extracted by subjecting the seeds to hexane - a highly toxic substance. There have been instances where trace amounts have made their way into the oil. The oil doesn't come through this unscathed - it is then deodorized to remove unpleasant smells. In one of the studies that was conducted on soybean and canola oils in the US, levels of trans fats (which are poisonous) ranged from around 0.56% to 4.2% depending on brand. They are not required to list this on the label. It should be noted though that when it comes to organic or cold-pressed canola, there will not be such high levels as the manufacturing process is very different. These are the exception rather than the rule though. There aren't many essential vitamins and minerals left after manufacturing, other than a little of vitamins K and E.
The fatty acids ratios to be around 7% saturated, 63% monounsaturated and 28% polyunsaturated, although this can change by brand and batch. If you are aware of the prevailing wisdom, these stats look good - after all, saturated fats are the enemy. However, it's not that simple. Up to date research suggests that saturated fat is, at worst, harmless and can be very healthy. That makes the little bit of saturated fat more of a cause for concern than celebration for me. The high levels of monounsaturated oils are good - similar to those found in olive oil. This is a main selling point of canola along with the balanced Omega-6s and Omega-3s. However, while we do need a little bit of polyunsaturated fats, we don't need that much. Canola has too many polyunsaturated fats. These acids will be incorporated into the membranes of our cells and are much more liable to become oxidized, starting a cascading free radical reaction and, potentially, causing molecular damage. And the Omega-3 content of canola is in a format that our bodies are not easily able to use anyway. As if that wasn't enough, think about what that oil has gone through to make it to your table. The process damages some of it so a lot of it is already rancid. You won't be any the wiser because of the deodorizing done to it. It is far safer to either eat fatty fish a couple of times a week or to use a fish oil supplement than to rely on canola for Omega-3s. There have been a lot of top quality studies to test this and the findings seem promising. Overall levels, as well as LDL levels and levels of triglycerides, could drop by up to a quarter. HDL levels are not really affected. Of concern is the short-term duration of the studies - none was longer than 16 weeks, with the average being 3 or 4 weeks. We also need to reiterate that the levels of cholesterol are an indicator of possible disease and may not actually lead to illness. More studies are needed to see if it can actually prevent heart disease, not just lower cholesterol. When it comes to other vegetable oils, longer-term studies have pointed to them lowering levels of cholesterol for the short term but actually raising the risk of heart disease over the long haul. We still do not know enough about its possible negative effects. Is Canola Oil a Better Vegetable Oil? When compared to other vegetable and seed oils, it does seem healthier but that is not really saying a lot. The manufacturing process renders these oils dangerous. Even if you can find one of the cold-pressed variety, it would still not be safe to cook with. The normal canola that most of us use has few redeeming qualities and really should be struck off your shopping list. Replace it with either coconut oil or olive oil. There are also other ways to get Omega-3 fatty acids such as through eating fish and nuts and also by taking a supplement.